A few weeks ago, we finished up a trip to New York City. I didn’t blog about it on a daily basis for a couple of reasons. We were quite busy during the trip and I really didn’t have time. It was a family get together/memorial get together for Laurie's dad and we had people around constantly. Not wanting to be antisocial......I decided to not be antisocial. I saved the blog until I was home and had the time. Normally I don’t blog on a short trip but I wanted to on this one. The website that handled the blogs for our previous trips closed, leaving me to find a new one. 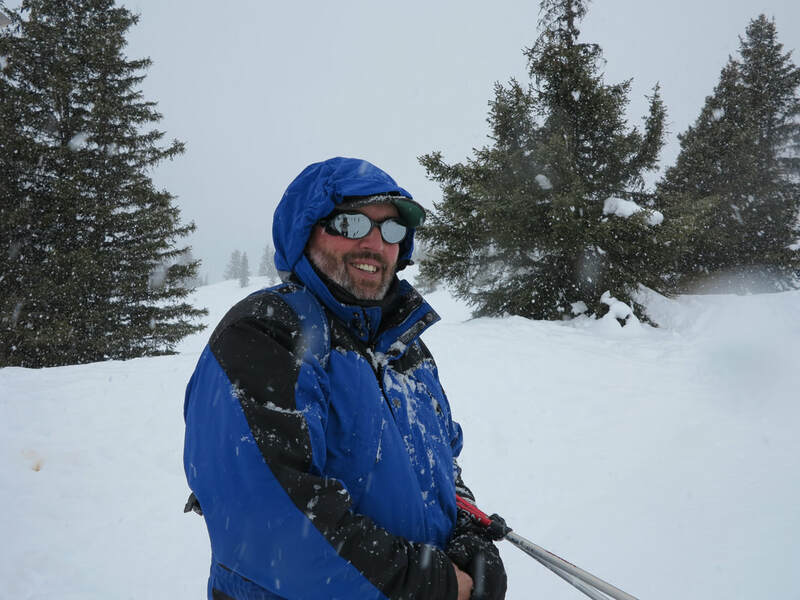 I want to try this “one shot” blog to try the new website out before we go on another big trip. I don’t want to get half the way around the world only to find out that the new website doesn’t work. I am also trying out some new equipment. When you backpack, lighter is ALWAYS better. In an effort to lighten things up I am trying to migrate to a tablet with a blue tooth keyboard, along with a new multiport charger. My intent is to use only the tablet and blue tooth keyboard to accomplish this........another test so I will be sure that things go properly when I am halfway around the world. I would hate to get 4000 miles from home and find this isn’t a workable system. My new setup. 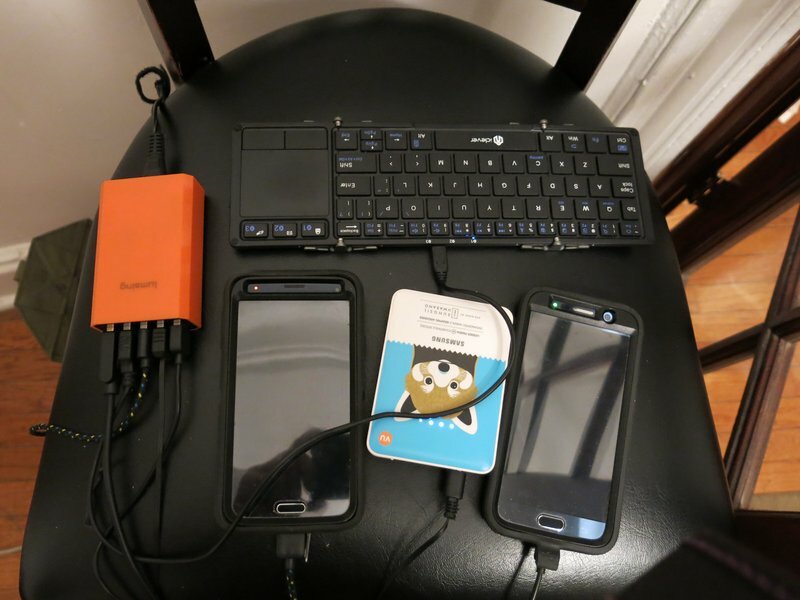 Blue tooth folding keyboard, multiport charger, backup battery, and all my phones. I may ramble a bit, but as I said, I’m working out the kinks in several new systems....please bear with me. As always, if I turn out to be boring....ya get what you pay for. Oh...wait. You read this for free. That being the case, you’re getting what you didn’t pay for! Tag along and let’s have some travel fun! If you haven’t traveled to New York before, I hope this spurs your interest. It is truly a great city to visit. We left out of Nashville on Thursday morning, June22. We stayed at the Red Roof Inn by the Nashville airport, literally 20 feet from our long term parking lot. We decided to stay in Nashville as we had to be at the airport at 5 a.m., and driving from our home would basically blow a whole night of sleep. Things were well planned and went well when we woke up, dropped the car, and headed to the airport. I will take this opportunity to point out that a hotel room in Nashville is no longer cheap. Two years ago, a room in the Airport Red Roof was around 60 bucks or so. This stay was 160 dollars. For one night in an inexpensive airport hotel. You don’t even want to know what the others costs, ranging up to 350 a night. Hotels downtown are even worse, running as high as 500 dollars a night at times. Hotels in Nashville are more expensive than NYC, San Francisco, and even Tokyo. It is insane. I read an article while waiting for our flight that Nashville hotels are the most expensive in the nation. We breezed through security as we have global entry, which also includes pre-check. Time from walking out of the hotel, dropping the car, checking a bag, clearing security, and sitting down for breakfast......35 minutes. Ya gotta love that. Delta did a fine job, we left on time, and I slept most of the way for our direct flight to LaGuardia. We arrived at LaGuardia without event and had booked the NYC Transporter shuttle bus into Manhattan for 15 dollars a person. We have used it before and it had worked quite well in the past. It takes you right into town to Penn Station and lets you off on the street. From there, you can catch the subway or a train to nearly anywhere. It was a little more “bumpy” today however. The roads in the terminal loops at the airport are under construction. It took us over an hour to simply get out of the airport. From there, with traffic into town, it took nearly 1 hour50 minutes. It should take less than an hour. We got off the bus not at Penn Station, but at Bryant Park. There, we boarded a complimentary NYC Transporter shuttle van that took us right to our hotel. A tip to the driver and we were on our way. We were only staying one night in Manhattan and I got a decent price on a Hampton Inn, on 8th avenue. We were able to check in early and it was only 30 dollars more than the airport motel in Nashville, and nicer. For NYC it was a very large room with plenty of space to spread out. We dumped our bags and headed out into the city. We bought our metro cards. A subway or bus ride is $2.75. You either use a metro card that you have and add money to it or you buy a new one. A new metro card costs a dollar. The machines in the subway allow you to buy a card with cash, credit, or debit cards. We decided to buy an unlimited rides in 7 days ticket, which was 32 dollars. A dozen rides and you are riding for free, and a dozen rides can happen a lot quicker than you think. The subway is much easier than surface transportation, and much cheaper than a taxi. NYC can come to a halt quickly. Our hotel was right on 8th avenue and very close to the subway. We used our metro card and a short trip later, exited and headed to our first vacation stop. Laurie wanted to go to the Chelsea Markets, which we did. It is basically a high end group of restaurants, food stands, and stores, located in what appears to be an old meat packing plant. If you’re looking for cheap eats, this ain’t the place.....but what we did have to eat was superb! We had gourmet pizza, I had a coke and Laurie had a beer. We finished up with an Italian pastry that I was unfamiliar with, called a zeppole. These are basically an Italian doughnut ball shot full of custard. While previously unfamiliar with Zeppole, we are now very well acquainted and possibly too close. I have a bad habit of eating my way through all of the wonderful cuisine of NYC when we visit...and this visit is off to a familiar start. NYC cheap eats....the famous "dirty water dog"carts! The Chelsea Markets are quite large, including food from many different places. These range from sweets from the middle east, to tacos, to fresh seafood. As I mentioned before, this is not an inexpensive place to eat. Usually one can find similar cuisine in other establishments throughout the city for a fraction of the price. Also as I mentioned before, the quality is superb. It was a nice treat and we headed out to wander around the city. 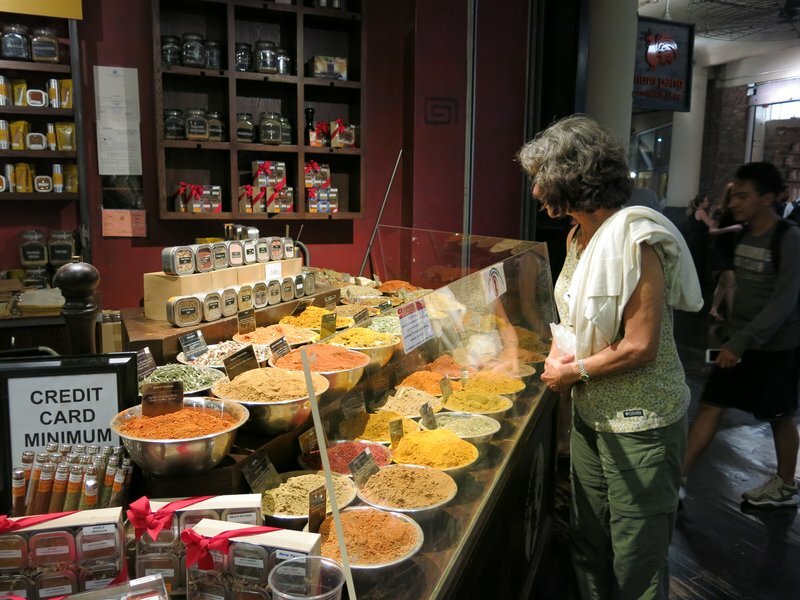 Checking out spices at the Chelsea Markets. We walked by the Chelsea piers. The first time Laurie brought me to NYC 28 years ago, this area was pretty dicey. Anyplace near the water, especially the piers, was to be avoided. Crime was pretty bad on the fringes of Manhattan in 1989 and crack was rampant in these areas. There were lots of junkies and hookers. All of this is gone. Today, the Chelsea Piers are high end, with one of the piers hosting an actual golf driving range. Yachts are commonplace in the area. Manhattan proper has few if any “bad” places anymore. It is safe to walk anywhere....at least anywhere I have walked on the past two trips there. Sketchy warehouse districts have been turned into lofts and high end eateries. The meat packing district is now one of the trendy places in the city. 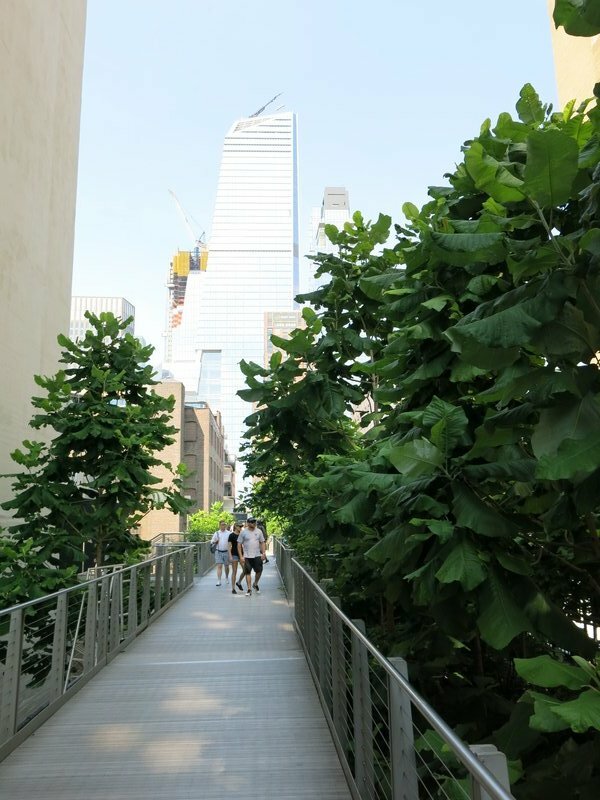 The old elevated train tracks through the east side of Manhattan are now home to The Highline, an open air elevated public park that runs over 20 blocks above the streets of the city. The Highline is quite popular and a Must Do for NYC visitors. A tree lined respite above the bustling streets of NYC. 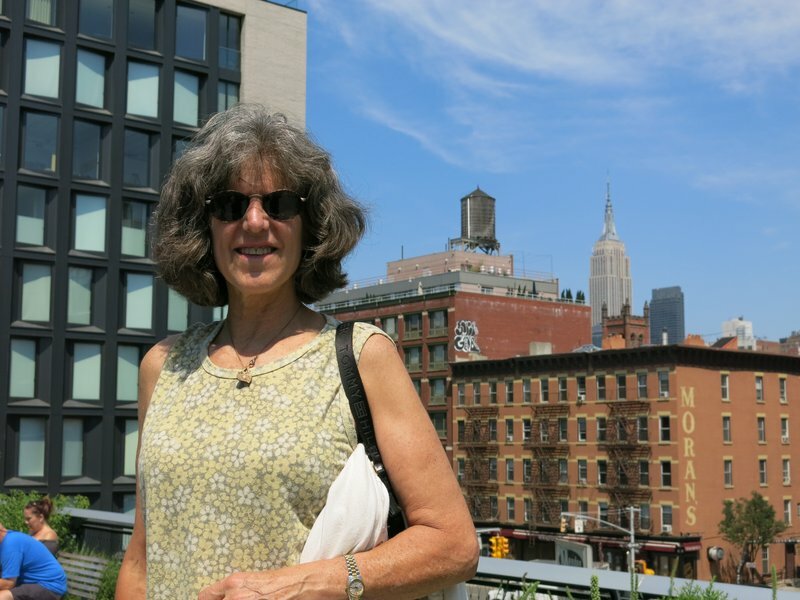 We walked The Highline the last time, but we were in the neighborhood and it was a beautiful day.....so we did it again! It is a wonderful journey and the views are fantastic. You can see much of Manhattan’s architecture, the river, and unique views of many neighborhoods. We even witnessed the filming of a movie. Tourists and locals wander north and south along its route, a calming vegetation lined escape from the hustle and bustle below. It is also free, a rarity in NYC. Laurie, mere miles from the place of her birth....and the Empire State Building stands watch over us. Construction is everywhere. This is the view from the High Line across the rail yards. Space is at a premium in the city, a phenomenon easily witnessed from The Highline. We observe buildings with hundreds of apartments, stacked parking lots, high rise office buildings, and all matter of examples of a high density lifestyle. When you can’t go out, you go up. ​NYC is expensive, and spaces are tight. Apartments are small, not to mention quite expensive. 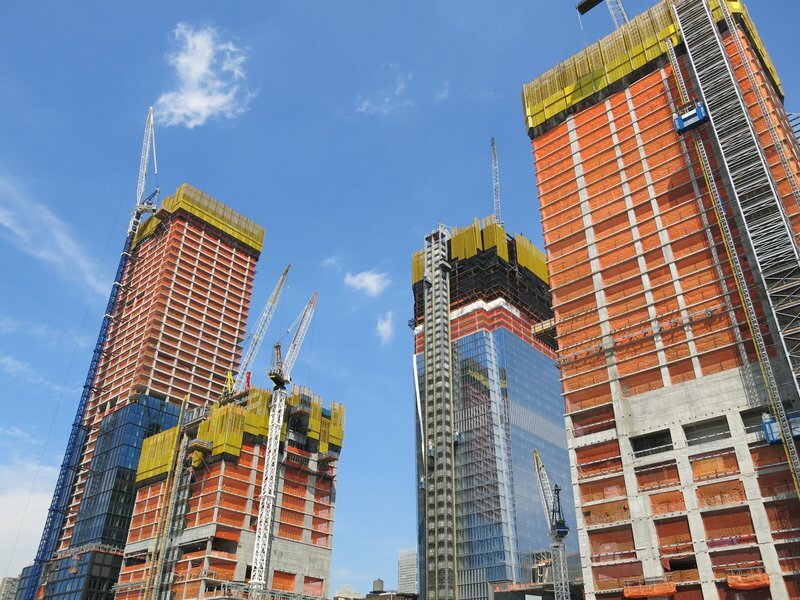 A small one bedroom apartment in Manhattan will run close to 3k a month. The same apartment in our small town in Tennessee would struggle to garner $350 a month. Things are at a premium here for sure. Do not let the density and costs sway you from visiting. There are many amazing things to see, that cannot be seen elsewhere. It is well worthy of a visit and with careful budgeting it can be done. 28 years ago on my first visit to NYC, we stayed with Laurie’s friend Maria. Maria has been a friend of Laurie’s since she lived in the city....which was long before I was in the picture. They worked together 35 years ago and she was a witness at our wedding in 1987. To say they go way back is an understatement. Today we are meeting her at her apartment. She now lives near Columbus Circle, which is near Central Park. We head uptown to meet at her apartment and we’re heading out to dinner! 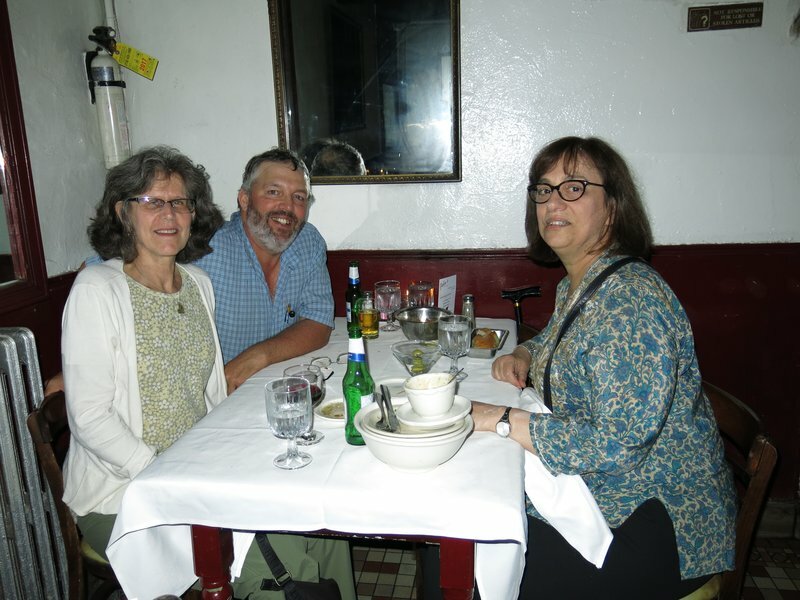 On my first trip to the city, Maria took us to dinner at what has become my yardstick for what an Italian restaurant should be. It has been open since 1908, had a speakeasy upstairs during prohibition, and a mob hit in the 20’s. It has been much quieter since then, hosting the Guy Fieri show “Drive Ins, Diners, and Dives”, they have shot movies there, as well as Boardwalk Empire and The Sopranos. They specialize in old school “red sauce” Italian food and it is simply divine. It is also, by NYC standards, quite reasonable. Considering the quality, it is downright cheap. It is called “Johns of 12th street” and in my opinion, is a must see. We ate here last time we were in the city and we are having dinner here once again! We sit in the back room, which is the home of a huge candle, several feet tall. It was originally lit at the end of prohibition and has been added to ever since. It is taller than I am and is a NYC landmark. We are waited on by bow tied waiters who bring us dish after dish of fantastic food. My diet not only went off the rails......it went off the trestle and into the river. It was, as always, fantastic. I just love this place. Dinner with Maria. I just love this place!! 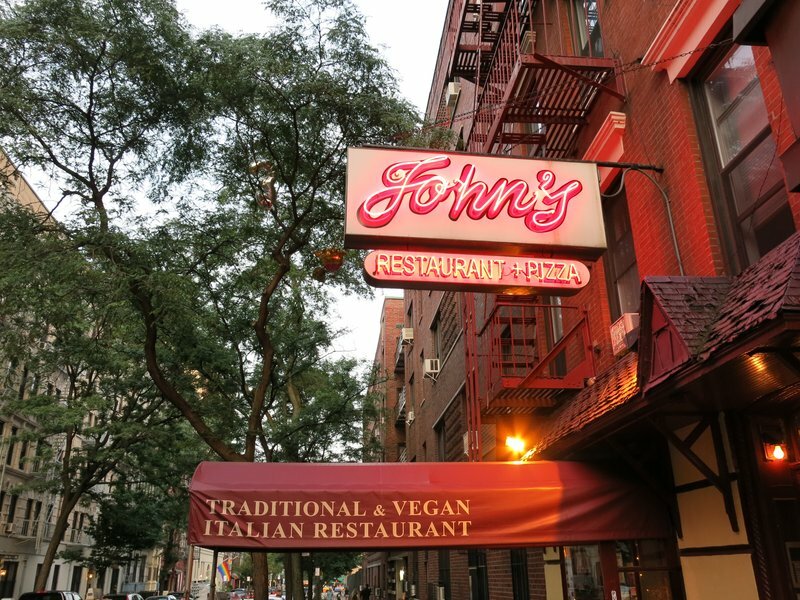 We leave the restaurant and take a cab to Ferrara, an Italian bakery in little Italy, where we take my diet that has run off the rails, off the trestle, and into the river. I now watch my diet sink deep into the mud. Ferarra is a Valhalla of sugary goodness, full of fantastic choices. We have wonderful coffee while I drift off into a sugary haze. I am roused from my sugar coma and we hail a cab to head back towards Maria’s apartment. Maria’s husband has invited us for drinks at the Mandarin Oriental Hotel in the Time Warner Center. We meet him and are whisked to the 35th floor where we have drinks with a magnificent view of the city. It is not a place Laurie and I would have went on our own, and appreciate Maria’s husband inviting us to someplace so unique. After drinks, we bid them goodnight and head to our hotel for a well deserved rest. The neighborhood we stayed in......Fulton Street Brooklyn. We wake up after a goods night sleep, and check out of our hotel. We head to Penn Station to meet Nancy, a childhood friend of Laurie’s who is arriving via Amtrak. Penn Station is a beehive of activity and after a little effort we actually found Nancy. We go down into the subway and Nancy buys her own Metrocard. From here, we head to Brooklyn via subway. We have rented an Airbnb as there will be 7 of us staying at the apartment and several more staying elsewhere. It is way before check in but our host was quite gracious in allowing us to access the apartment to store our luggage......a very welcome perk. We enter the apartment, leave our stuff, and head to a diner in the neighborhood to have a bit of breakfast. 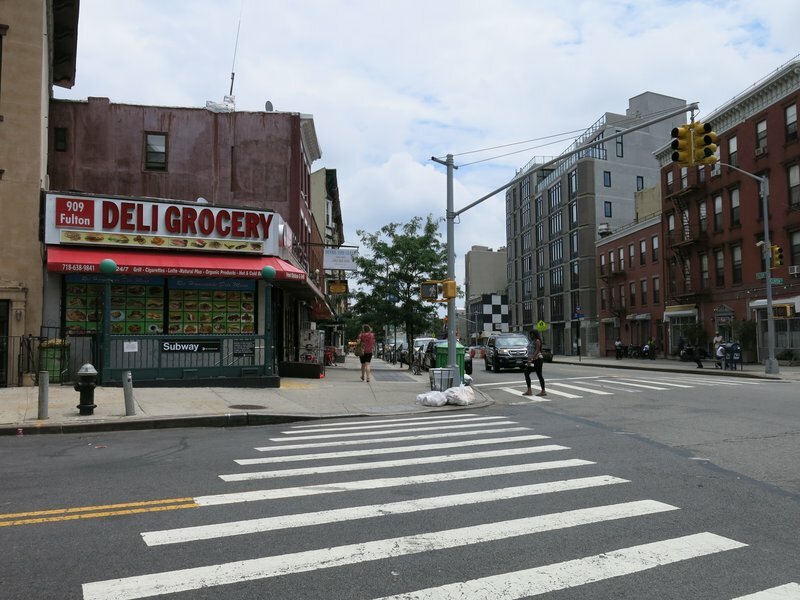 It is a 4 bedroom, one bath apartment on Fulton Street in Brooklyn. While NYC lodging isn’t cheap, we thought the apartment was reasonable in price. It was 100 feet from the subway, the neighborhood is quite safe, there are many good restaurants, grocery stores, everything one needs. This large apartment was $300 a night. It sleeps 8 so that is basically $37 a night per person. For NYC that is reasonable.....we theorized that we received the volume discount! We have a nice brunch and decide that we will take the subway back into lower Manhattan. We want to wander around a bit so we go to Chinatown and walk south towards the Battery. We browse our way through this part of the city, and stop in a city park to use a public restroom. Be aware that public restrooms are a true rarity in NYC. We continue on. It is hot....as summer in the city usually is. We buy water and snacks from street vendors to keep hydrated. Note that prices from street vendors are usually quite competitive and no higher than elsewhere in the country. 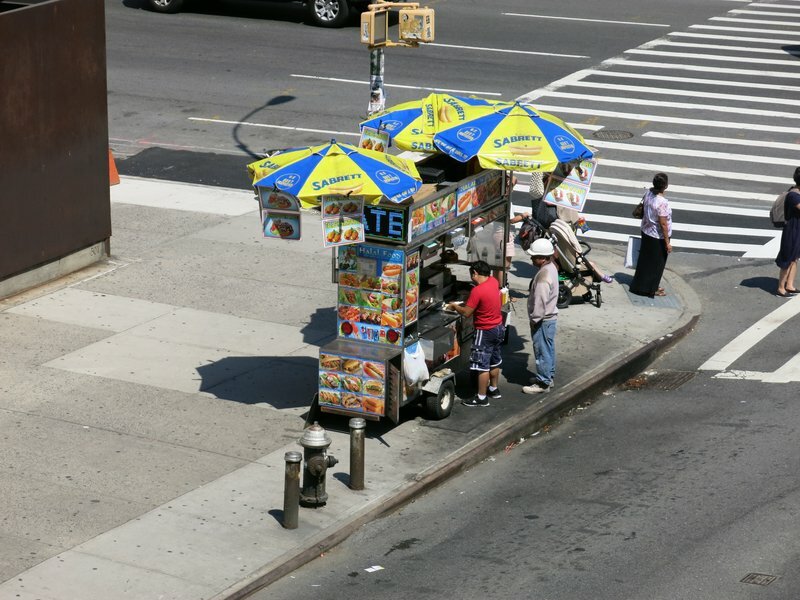 Street food and drinks in NYC are usually one of the city’s bargains. Oddly enough, the quality of much of the street food is quite good. Our intent on this wandering was to visit one of NYC’s major landmarks. We arrive at our landmark and plan to take it all the way back to Brooklyn. We are at the world famous Brooklyn Bridge. We are joined by thousands of other visitors, locals, joggers, bicyclists, and vendors hawking their wares. It is a beautiful day and everyone wants to be out and about. 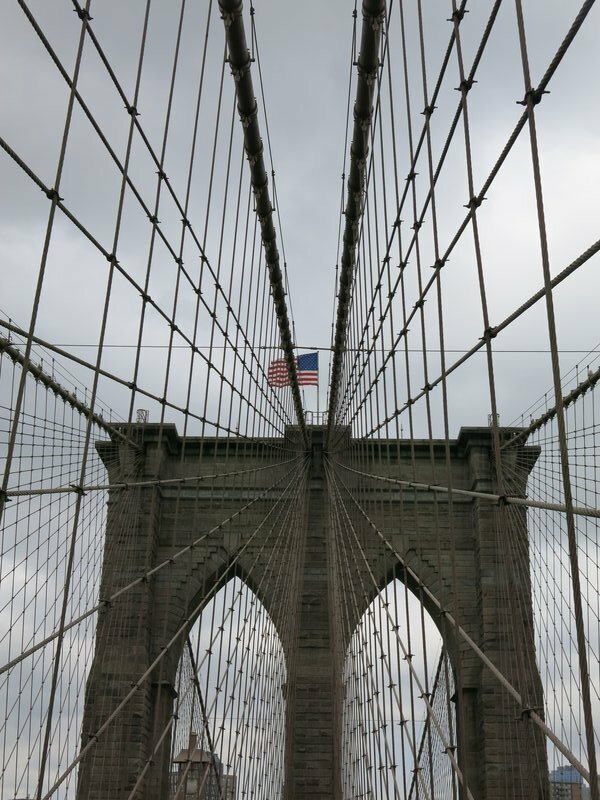 A view up the Brooklyn Bridge. We walk across the bridge, stopping along the way to buy trinkets from a souvenir vendor. The bridge itself is huge, jutting into the sky. The support cables are almost like modern art, running off in many directions. 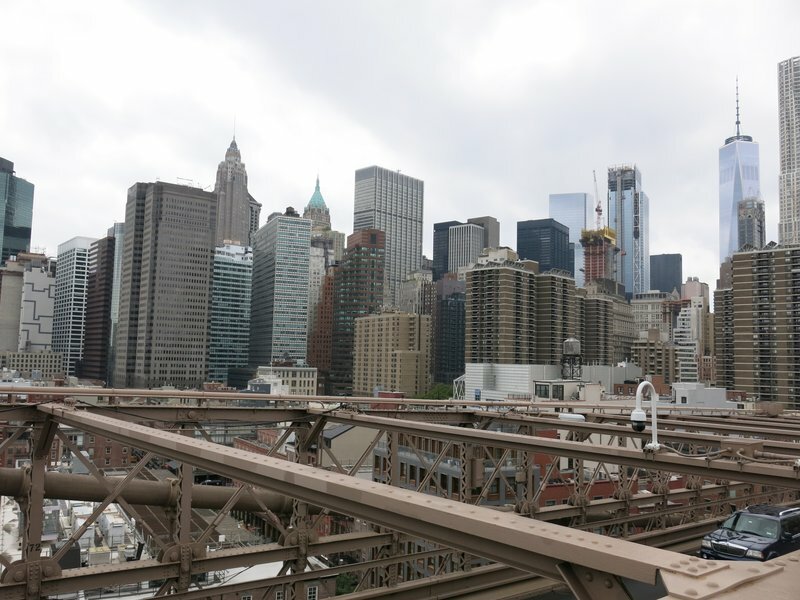 The view from the bridge is the Manhattan skyline at its best. A look south and we can see the Staten Island Ferry, Governor’s Island, and the Statue of Liberty. The pedestrian walkway is actually in the center of the bridge, flanked on both sides by multiple lanes of traffic. The walkway is elevated above the traffic which gives unobstructed views. It also keeps jumpers from taking a header off the bridge to their death. You can still jump from the walkway, but you are more likely to get scuffed up, a broken leg, or hit by a car. It’s not that far a fall...and definitely not worth wasting your time if you are trying to do yourself in. 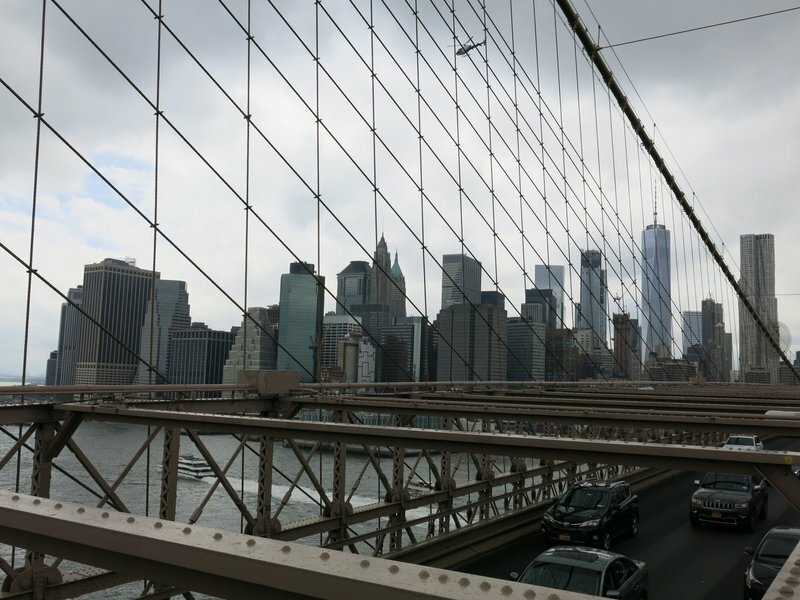 Manhattan skyline from the Brooklyn Bridge. We have a very enjoyable walk across the bridge. It is over a mile long so it is an undertaking, but an enjoyable one. When on the bridge, I always think back to TV news footage on 9/11. I imagine the thousands of New Yorkers stranded in Manhattan, taking the only way home they have. 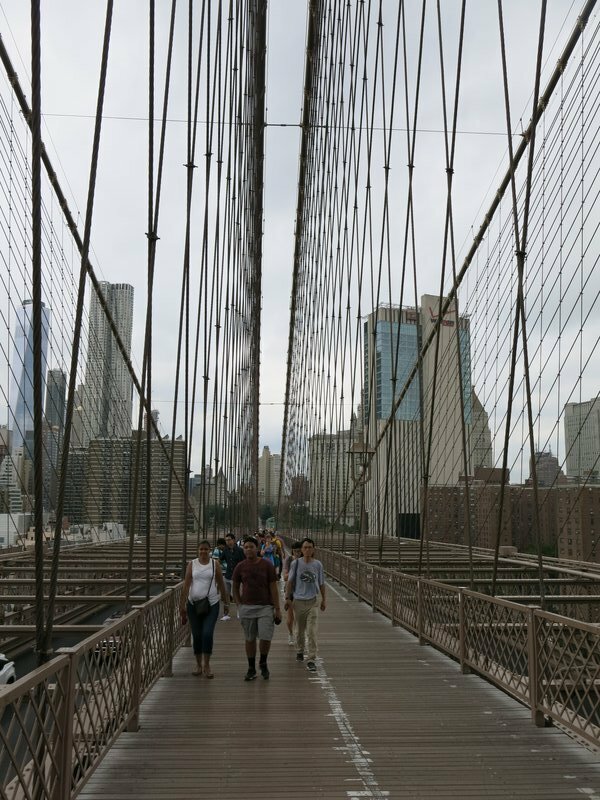 I remember seeing photos and footage of wall to wall people all trudging home via the Brooklyn Bridge, in the shadow of an incredible tragedy. Like the highline it is one of NYC’s free attractions. 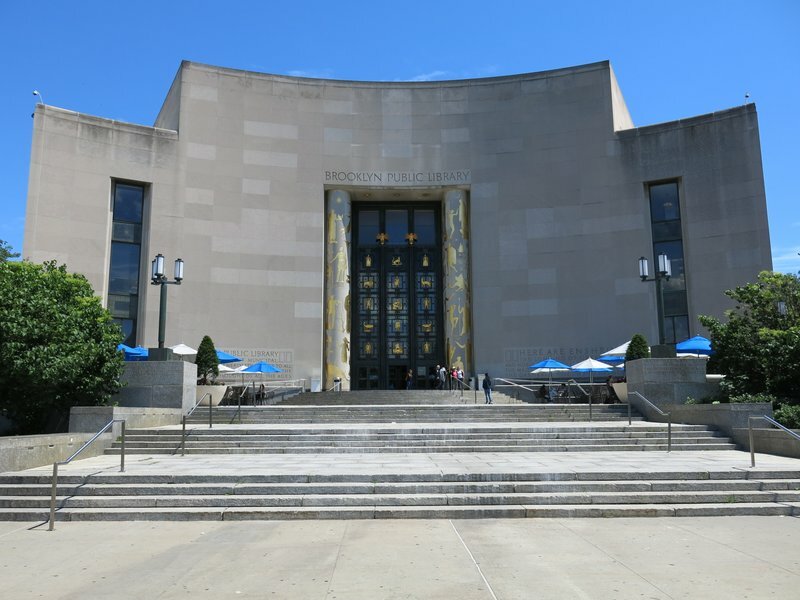 While many things in NYC are expensive, some of the best known landmarks are free. They are also some of my favorites. 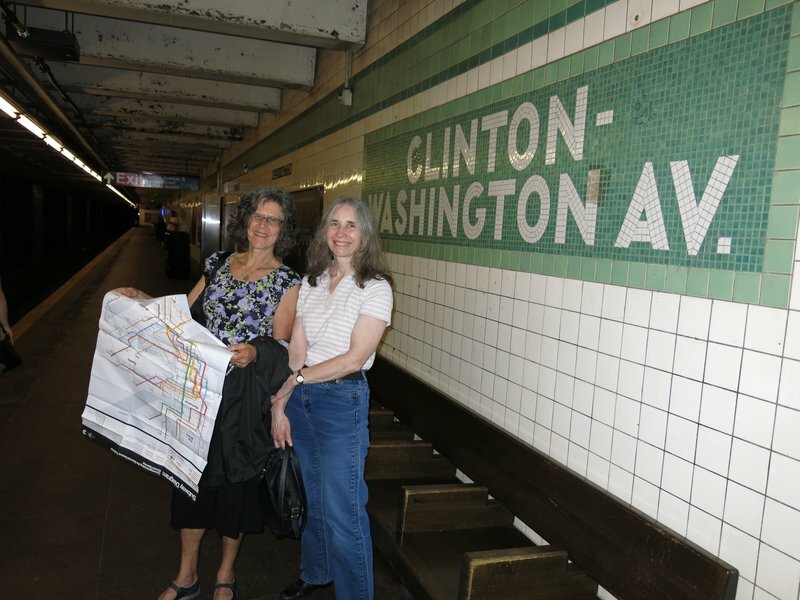 We arrive back in Brooklyn and take the subway back to the apartment. The rest of our crowd will be arriving soon and we are the keymasters.....so we head back to take a break from the heat and wait for everyone. The elevated pedestrian walkway on the Brooklyn Bridge. Laurie’s cousin David and his wife Sheree arrive soon. They have actually been in Brooklyn for several days as their son Ben lives there with his fiance Sara. Laurie’s stepsister Liz has arrived from Seattle (she is staying a few blocks away) and then Ben and Sara arrive. We all start walking several blocks to where we are having dinner......a celebration of my wonderful wife’s birthday! Ben and Sara have recommended “Boqueria”, a tapas restaurant. They are locals and we took them at their word.....and we were wise to do so. The food was superb and we truly enjoyed dinner. Towards the end of dinner, David’s step mother arrived and rounded out our crew. 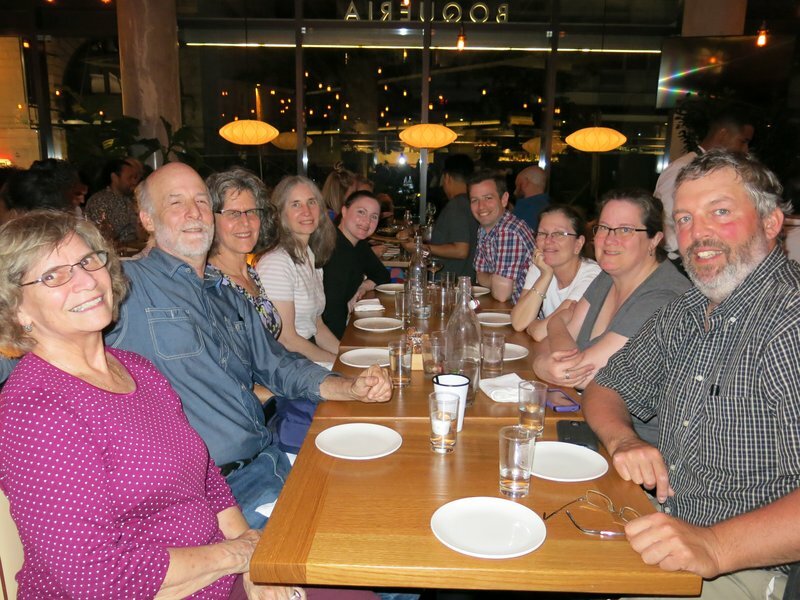 Laurie's birthday dinner at a wonderful tapas restaurant! We finished dinner, had wonderful churros for desert, and started the walk home to burn off some of the calories we had taken in that evening. We were once again in the train off the rails diet situation....but man what a way to go! This will turn out to be a recurrent problem for us in the city.......there are just so many wonderful things to eat! We get back to the apartment, and are met by our daughter Heather who took a cab from the airport. We are very happy to see her! We work out who is in what room, and I wind up on the couch. Okay by me as the air conditioner is right there and keeps me nice and frosty! I download pics from my camera for the first time using the new tablet/hub/card reader/bluetooth keyboard setup. It takes me a couple of tries to figure it out as it is different from Windows. The tablet has an android OS so it took a little getting used to. I figured it out, looked at my photos, and passed out on the couch. It has been another long day, with more adventures in store tomorrow. 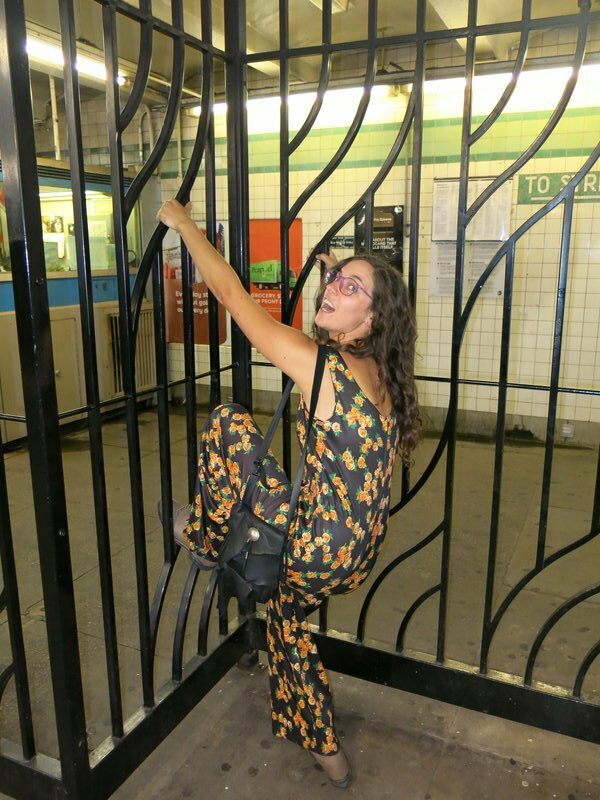 Heather clowning around in the subway. We start our day with bagels from the shop down the street. While the bagels are great, the carnivore in me takes over and I wind up with a BLT from the corner deli. We have coffee, eat, and are out the door to visit another part of New York City. We were in Manhattan for a day, have been staying in Brooklyn.....and now we’re off to Queens! 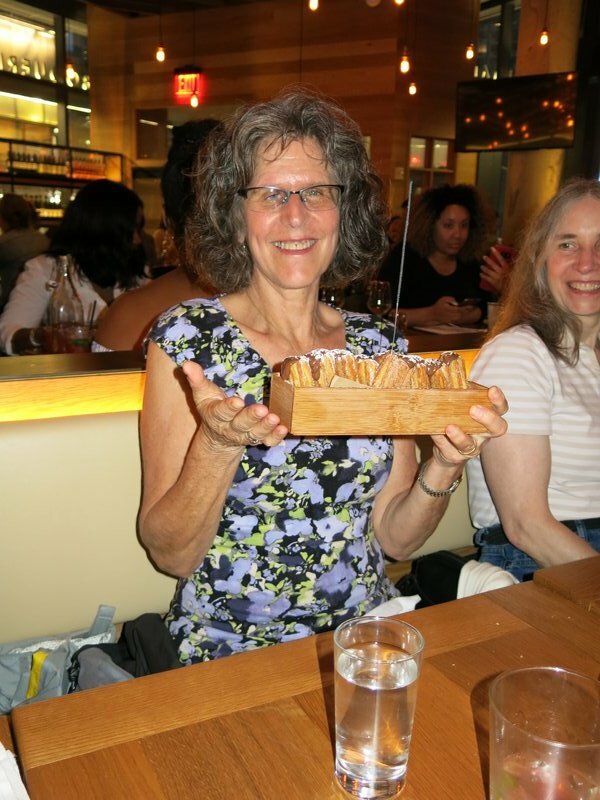 When she was a small child, Laurie’s grandmother lived in a 4th floor walk up apartment in Woodside, Queens. 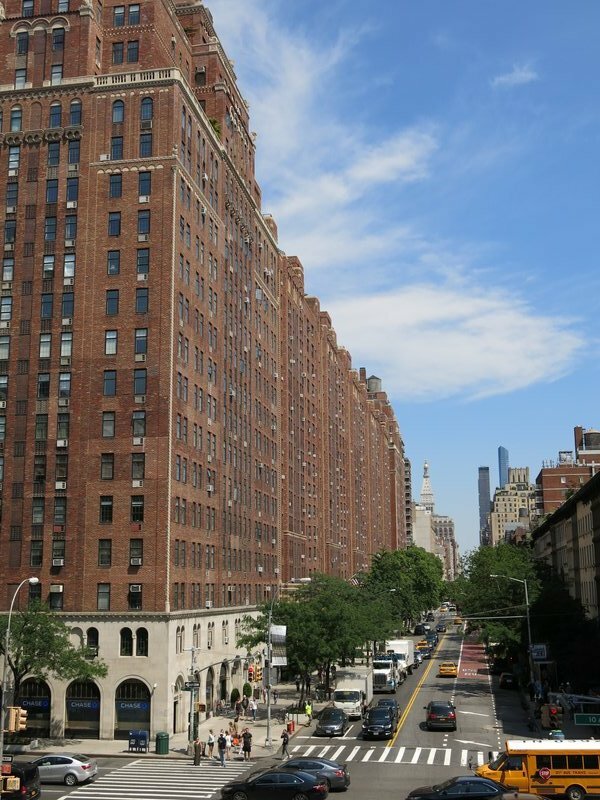 As small children, Laurie and her cousin David would ride the subway with their grandmother, then walk from the subway station to her apartment building. Unlike a large part of the city, the subway in this part of town is actually above ground on elevated tracks. Laurie and David.....many years later....but in the same place. 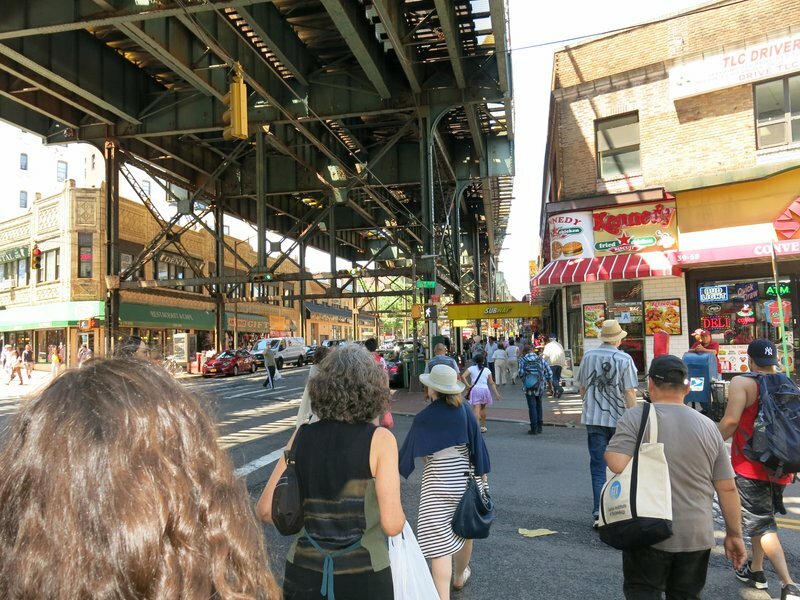 Under the elevated trains in Woodside. We walk a few blocks that Laurie and David do from memory towards Omi’s (German for Grandmother) apartment. In addition to their grandmother living there, both of their fathers grew up in this apartment building and neighborhood. While it has changed, it still is a very residential area with many people living here. Part of this journey is more than just travel......it is a memorial to Laurie’s father who passed away last year. He and David’s father came to the United States in 1937 with their mother, fleeing a country that wanted to exterminate their family as they were Jews. Laurie and David have a very small extended family....while their fathers escaped, many more family members were not so lucky and perished in the camps. As time wears on, their small remaining family becomes smaller. He had a few locations that he wished his ashes scattered. One was in Germany, the country he fled as a child. The other was New York City, his adopted home. We are in Queens not only for David and Laurie to reminisce, but to fulfil her father’s wishes. 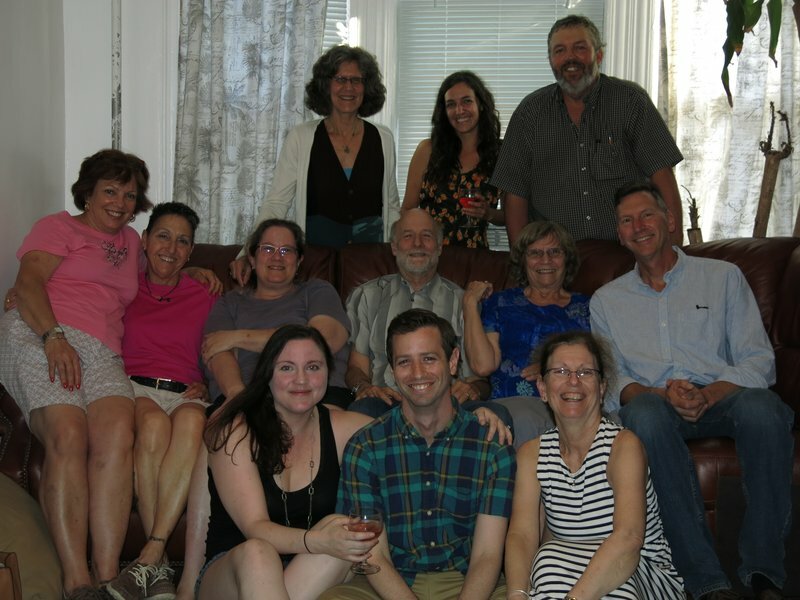 Our party consists of David, his wife Sheree, Laurie, Heather, Laurie’s childhood friend Nancy, and myself. We arrive at the apartment building. Laurie and David talk about visiting when they were children, fighting over who got to sleep in the Murphy bed her grandmother had. They talked about how things had changed there, and how they had remained the same. They remembered the stores in the neighborhood, and the people. We had reached the point where Laurie would be doing what she had come to do.....scatter her father’s ashes. I remembered the situation where they closed down the opera in Manhattan a few months prior when somebody scattered ashes during a performance.....bringing out anti-terrorism squads and fears of scattered toxins. I reminded Laurie of this long before we got there and warned her to be discreet. They scattered the ashes of Laurie’s father and Heather’s grandfather in the shrubs and flowerbeds at the front of the apartment house he grew up in. The crew at Omi's place. 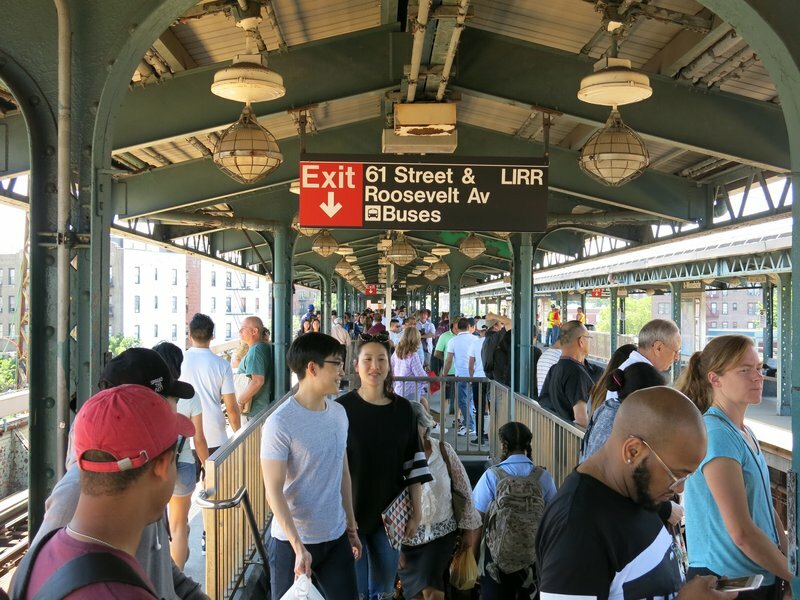 The Woodside subway platform on a busy weekend afternoon. After a few photos to remember the trip, we headed back towards the subway. We stopped and had a nice lunch at an Irish bar/restaurant. After our lunch, we browsed a few stores, boarded the train, and headed back to Brooklyn. Tonight, company was coming for dinner and we needed to be back. We arrive back at the apartment and soon are joined by Laurie’s step sister Liz, David’s son Ben and his fiance Sara, David’s step mother, and the only other blood relatives Laurie has had. The relatives came from Long Island and upstate New York, and their grandmother was Laurie great aunt. We have an apartment full. Nancy was kind enough to take a photo of everyone. We order out pizza, have drinks, and everyone watches and talks about a slide show I had prepared of photos of the family. These were from the 20’s and 30’s and they were able to save them from disappearing during their exodus and bring them to the US. There were also photos of the family from the 1940’s on. They watch and discuss this photo history of their family. They remember the fallen, of whom there are now many. Their small family becomes even smaller as time passes. An English author named Terry Pratchett once said “Do you not know that a man is not dead while his name is still spoken.....”. This seems fitting. After a nice evening, everyone headed their separate ways and we called it a day. Tomorrow we plan more adventures in the boroughs....the other New York. 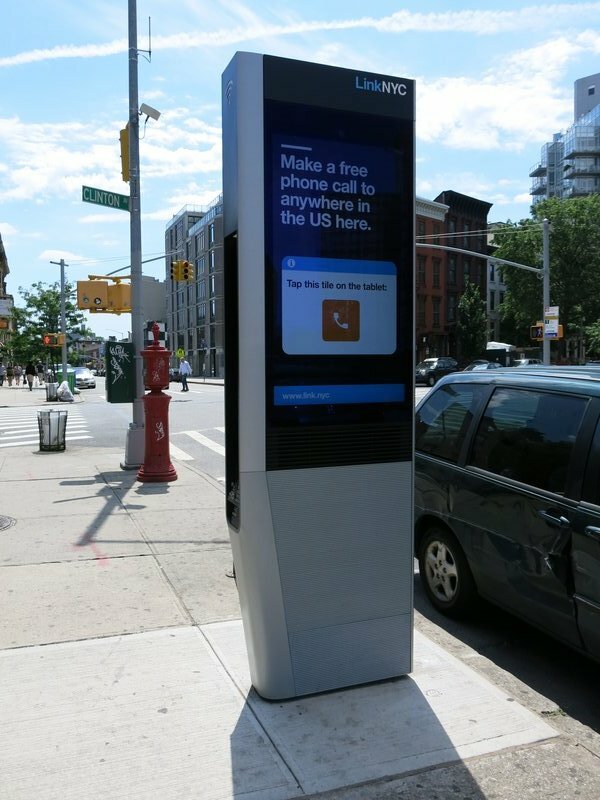 This is a LinkNYC kiosk. You can charge your phone, ask it for directions, it is a wifi hotspot, and you can even make a phone call on it. All for free. Today is our last full day in the city and it’s going to be a Brooklyn day. We start out the same as the day before with bagels and deli sandwiches. The crew has decided they want to visit the Brooklyn Botanical Gardens. We head out and after a fairly lengthy walk, arrive. I have tracked the distances we have walked each day with Google Maps and determined that we walked between 7 and 8 miles most days we were there. Considering my dietary habits while in NYC, this is good. I pass on the gardens, preferring to walk around and explore. I head off alone and walk the perimeter of the Botanical Gardens, observing the people and places along the way. I see signs for apartments for rent, and a search on my phone reveals they run in the mid 2k range per month. It ain’t cheap. I press on and enter Prospect Park. 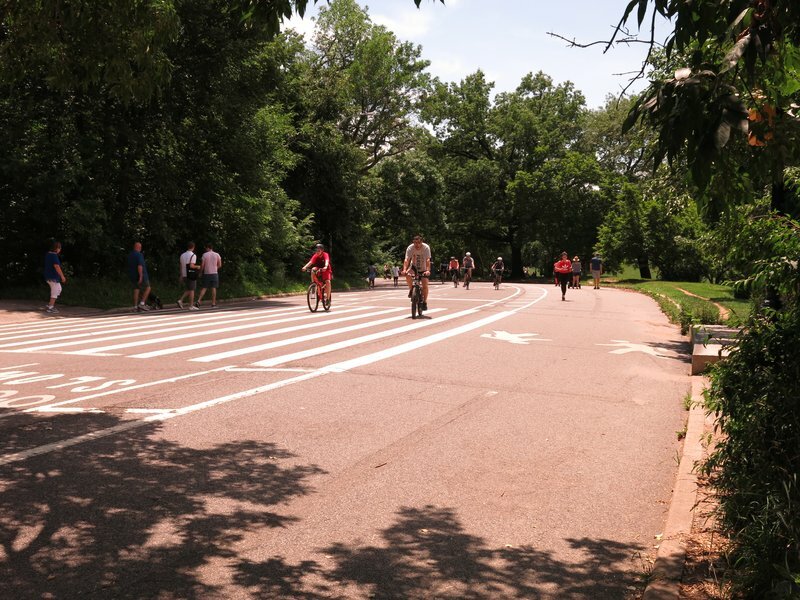 The parks in NYC are refuges from the pavement, a grassy, tree lined place of escape. There are thousands of people in the park, celebrating children’s birthdays, going to the zoo, playing sports, hiking, cycling, and running. The NYC park system is heavily utilized. 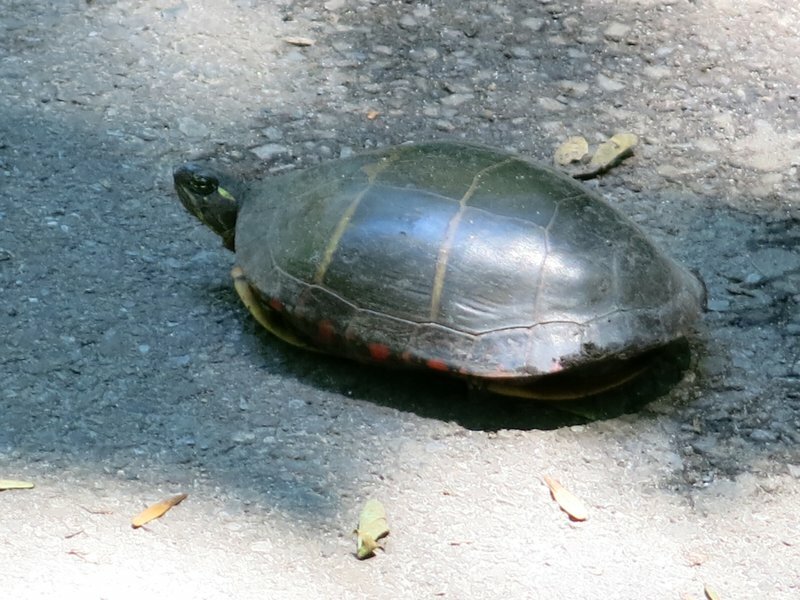 While hiking a path through the woods, I run into a turtle in the middle of the path. Two New Yorkers are staring at the turtle. This is actually a vehicle path for service vehicles and I step in, pick up the turtle and put him in the woods. They begin to ask me questions about the turtle....apparently to New Yorkers, the hillbilly guy is the turtle whisperer. I explain to them that turtles are common where I am from. They said why did you put him on that side of the road? I replied “that’s the direction he was headed”. They wanted to know why I didn’t put him on the side of the road bordering the zoo so he could go home. I explained that not all animals live in zoos.....and this was a plain old turtle and not an exotic zoo turtle. I realize that they probably knew this, but the mindset in the city is that animals exist in the zoo. Their thoughts are product of their surroundings. The turtle folks and I walked together and chatted on our journey through the woods. One guy dropped out early and I continued on with a guy from Hong Kong. He was a computer programmer and worked for the Treasury Department. We discussed places we have been, nice places to visit, where we were from and what we did. We reached the end of the trail where it intersected the road through the park and bid each other adieu. I stood on the side of the road, which is restricted to bicycles and pedestrians. People were jogging, walking, and biking with differing levels of ability. I sat and watched as a young girl who was visiting from Asia wrecked her bike and skidded across the pavement. I helped her up, and pointed out her scuffed knees. She was quite embarrassed and obviously wanted to go. She explained that she was learning to ride and was inexperienced. I told her I was glad she was relatively okay, and to take care of her wounds. Prospect Park jogging and running path. Laurie used to run here. 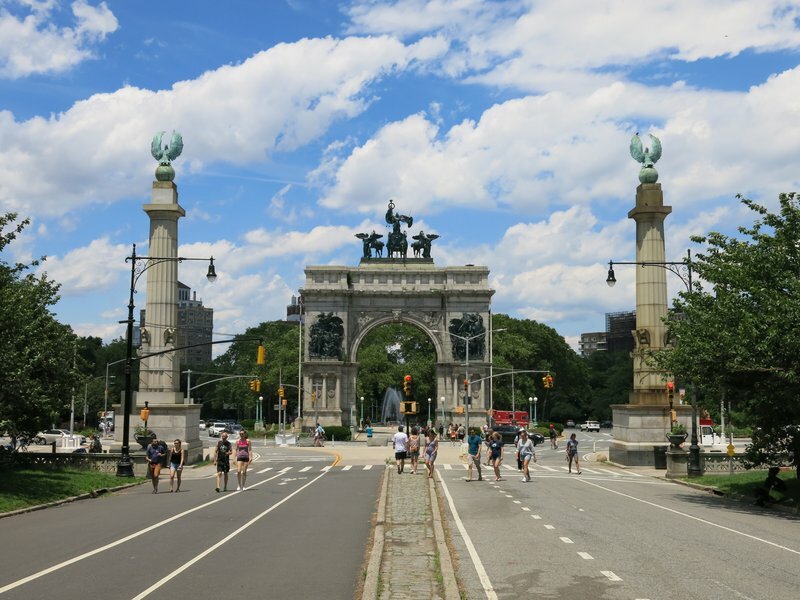 Grand Army Plaza, Prospect Park. I stood and watched a while longer and received a text from the gang that they were finishing up in the gardens. I walked back to meet them and we started walking towards the Park Slope neighborhood of Brooklyn. When my wife was a NYC resident as an adult, that is where she lived. Park Slope is a very desirable address now, much different than when Laurie lived here as a young adult. 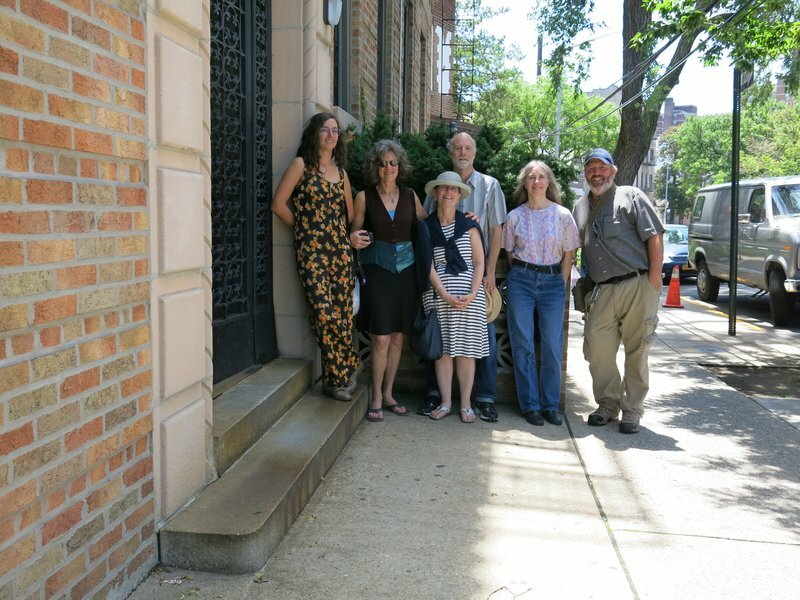 We walk the neighborhood, checking out places that still exist from Laurie’s days there. 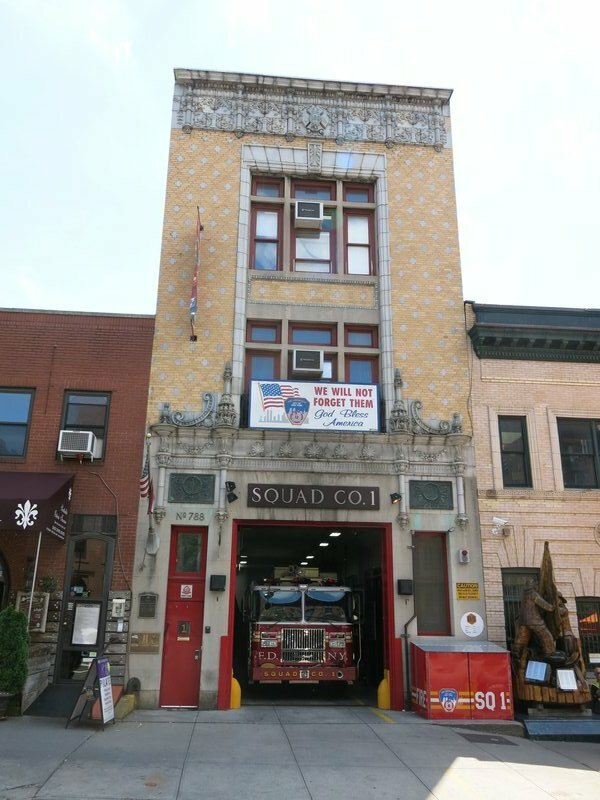 We see the food co-op she shopped at, the fire department that would wake her up when the engines left in the middle of the night. 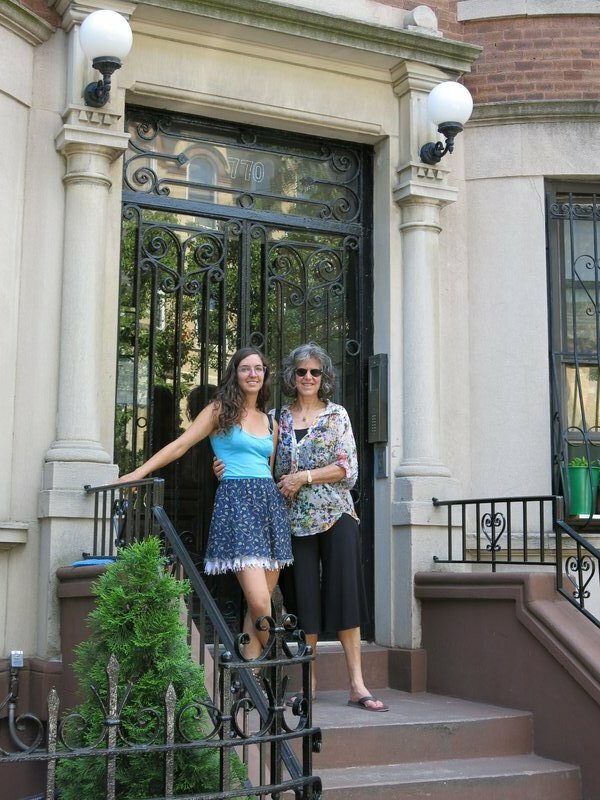 We stopped at her old building and took a picture of Laurie with her 29 year old daughter on the front stoop. We talked to a woman selling spices on the sidewalk in front of her building, checked out shops, and had sushi for lunch. This is a part of NYC that feels “real”. The people that live there are connected to the neighborhood, the businesses that are there, they are living their lives. Granted it is very different from the rural farm life we live now, but it is no less legitimate. It’s just different. We head back to the apartment and feast on leftovers in the fridge. The gang orders some sort of rice bowl dinners and I tell them there is one thing I have not yet had in NYC and wanted it before I leave. I took the subway one stop and got off in a very active and lively part of Fulton Street. I went into the restaurant I had came for and ordered a favorite of mine.....Cuban food! I had a Cuban sandwich, plantains, and a water. My eyes were bigger than my stomach so I planned on taking my left overs back to the apartment for Heather. While I ate, I watched a bar across the street. It had an outdoor courtyard and they were showing movies (a musical from the 40’s) on the side of one of the buildings. 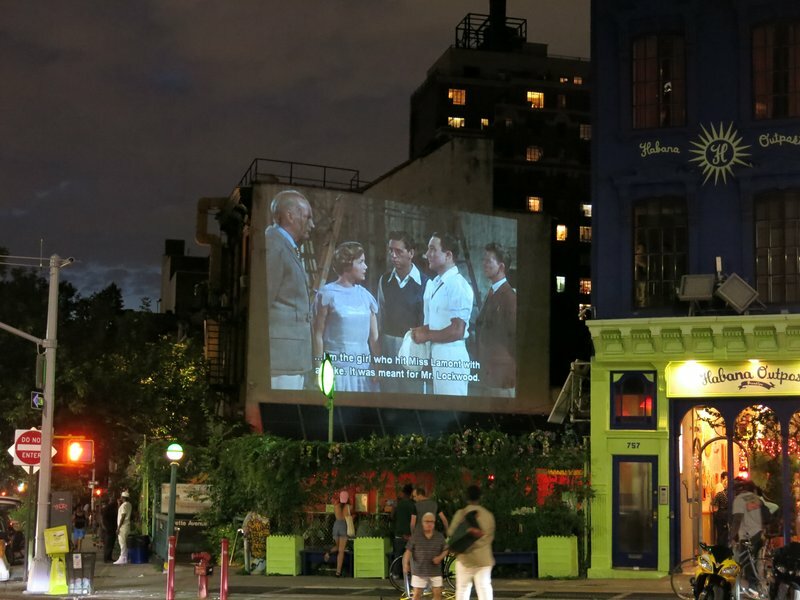 A movie on the wall of an outdoor biergarten, Fulton Street, Brooklyn. It seemed that everyone in Brooklyn was out and enjoying this wonderful summer evening. It is so different from the experience in Manhattan. The people are more engaged with each other, more friendly to each other. People of pretty much all different backgrounds and upbringings, hanging out and having fun. It was a very welcoming and inviting atmosphere. I can see the appeal of living in this very nice part of Brooklyn. Too bad it is so costly. I get a text from Laurie saying they have all went out for ice cream. While I am stuffed to the gills, I plan on meeting them. I just plan on avoiding any further caloric damage for the night. We meet, walk a ways, and Liz says goodbye to everyone and heads to the place we are staying. We return to the apartment, bid goodbye to Ben and Sara, and everyone heads to bed. Tomorrow we head to the airport and towards home. Our last day starts with a last ditch effort to eat the things left in the refrigerator in the apartment. Bagels and cream cheese, pizza, fruit...and of course I run off to the corner deli to get a BLT. There was no bacon in the fridge so I saw no reason to help with this effort. We do the required cleaning for our Airbnb. It isn't much, basically take out the trash and clean the kitchen counters. We get everything done, get everything packed, and we're all out the door before the required 11 a.m. check out. We congregate on the sidewalk out front and exchange goodbyes with everyone that's left. We came from the airport via shuttle bus to Manhattan, but leaving from Brooklyn has fewer options. We could take a cab (around 35 bucks) or uber (apparently I'm the only human on the planet without an uber app). We instead decide to try a different route, totally on public transportation. As we have metrocards, the cost of the trip is zero. I have also wondered how difficult it would be to take public transit back and forth from the airport. Our flight doesn't leave for quite a while so we have the time. Let's find out. 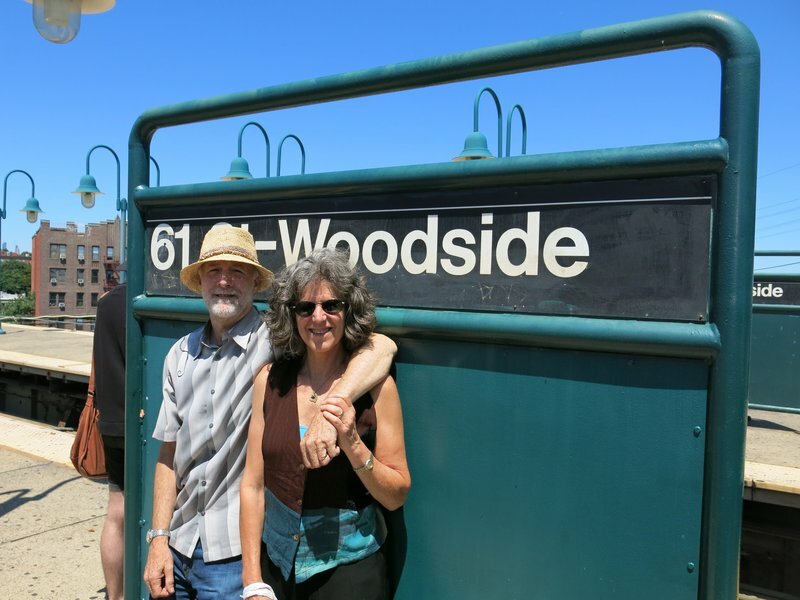 We start by taking the subway out to Woodside in Queens, where we had been just days before. When there, we go to the street level to catch a special bus that goes only to the airport. The bus doesn't take metro cards, but requires a separate ticket. You get this ticket by going to a machine on the sidewalk and swiping your metrocard. It counts as a ride, and it spits out a receipt which you show to the bus driver. We board the bus, which makes one more stop at one of the transportation hubs in Queens. After the second stop the bus is stuffed to the gills. Apparently this connector bus is much more popular than we thought. We arrive at the airport without incident and disembark. I make several attempts to give away my metrocard, which still has two days of rides on it, before a young lady accepts it. People are skeptical but I finally found someone that figured out that they can't get hustled too bad if I'm giving it away for free. We clear security and are on our way back home. We've had an enjoyable time. Normally our NYC trips focus on Manhattan, and we did spend a little time there, but this time we did the "other" New York. Brooklyn and Queens are very different from Manhattan. They feel more.....real. While people live in Manhattan, they strike me as being kind of isolated. The people out in Brooklyn and Queens strike me as being more involved with where they live. They shop there, they eat there, they know other people there. But Brooklyn is evolving at a fast pace and they're building high rises there. One can only guess how long before it is just like Manhattan. Enjoy it while you still can. The city has changed so much since the first time I visited 28 years ago. There are few if any "bad" places in Manhattan. It's getting that way in Brooklyn as well. Places that I was warned not to venture on my first visit are now the homes of yachts and high end residences. The city is much cleaner than it used to be and feels much safer overall. So many people are fearful of traveling to New York City due to stories told over the years about things that happened there. All of this is gone. It is clean, organized, interesting, and safe. I feel safer in NYC than in parts of Nashville. And I usually have my head on a swivel....so if it was sketchy, I would have picked up on it. It is easy to fly into LaGuardia or JFK, not to mention cheap. I think we flew round trip from Nashville to LaGuardia direct for around $250 bucks each. Lodging isn't cheap but that's the only downpoint. And after paying a scandalous price for a cheap hotel at the airport in Nashville, it actually made NYC look quite reasonable. You can also access the city by Megabus or Amtrak. Find a way and do it. As I mentioned starting out, the purpose of this blog was not to really blog. I usually don't do it on short trips, but need the practice on the new keyboard (thus the long stories) and need to navigate the new website a bit. I want to make sure everything works before we head abroad, and this struck me as a good way to do that. Thanks for your patience with me and if you've read this, thanks for reading. If you have questions, please ask. Go......visit New York City. And I'm adding this link as an edit. Yes I am aware this is a puppet, but his tips on visiting New York City are some of the most solid tips you'll find. I love Johnny T!